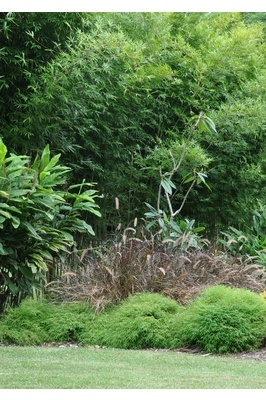 A nice soft grass which grows in tight clumps. 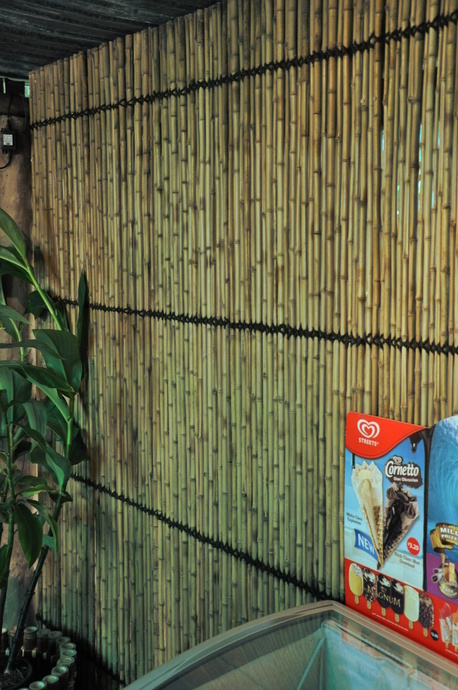 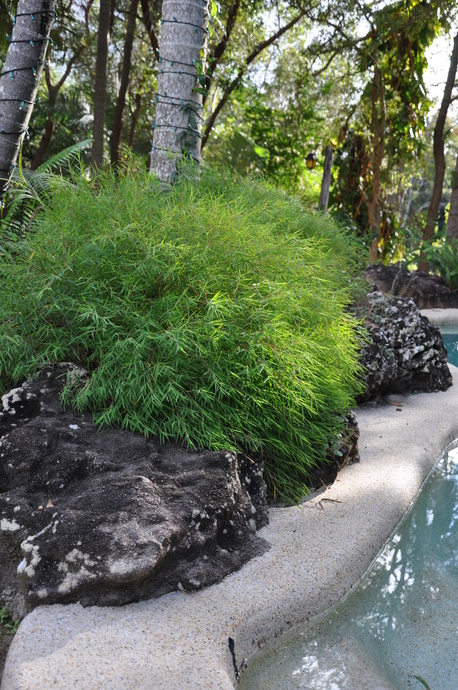 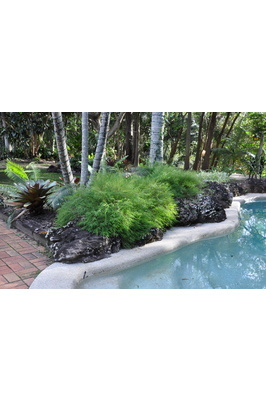 Great for borders, rock gardens, around ponds and water-features. 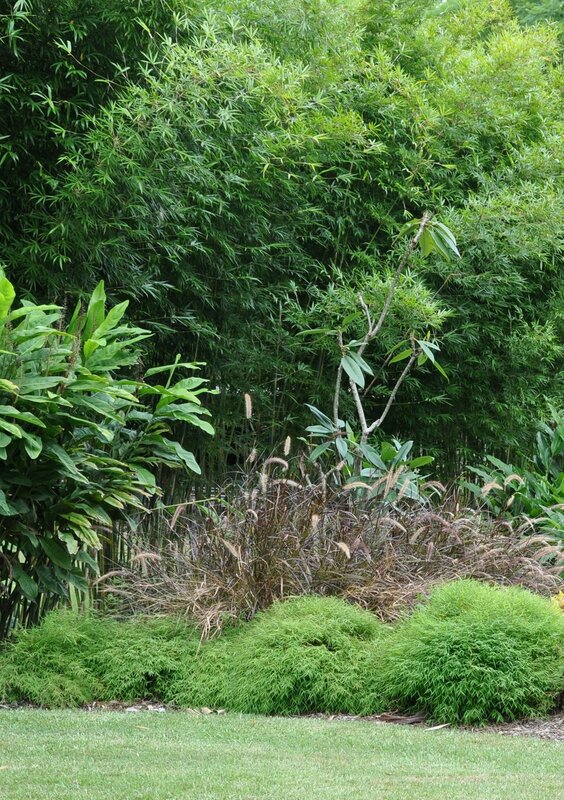 Climate: Tolerates light frost. 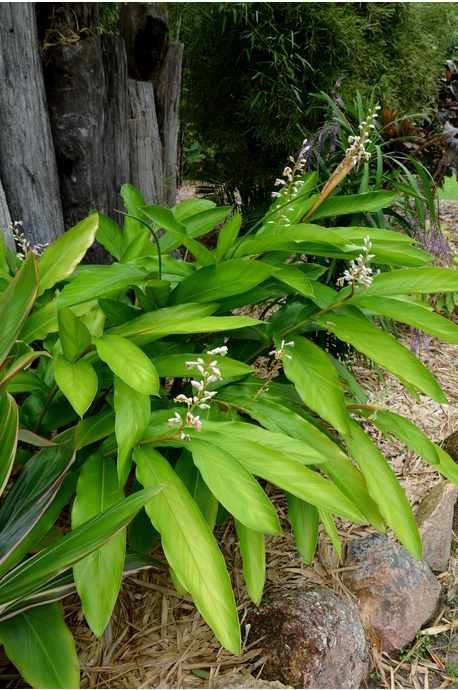 Grows well anywhere in Australia. 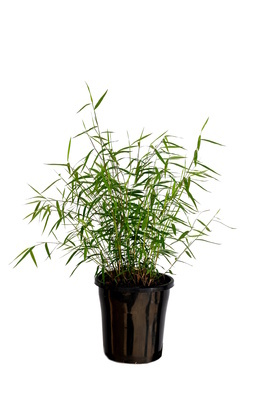 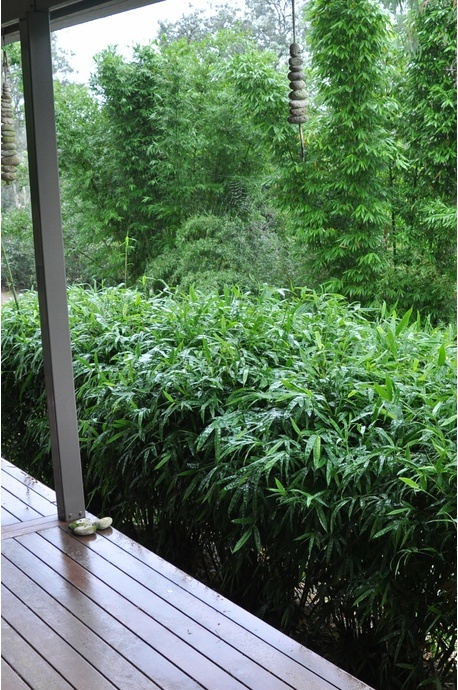 Though this plant looks much like a miniature bamboo, strictly speaking it is not - it is a type of grass. 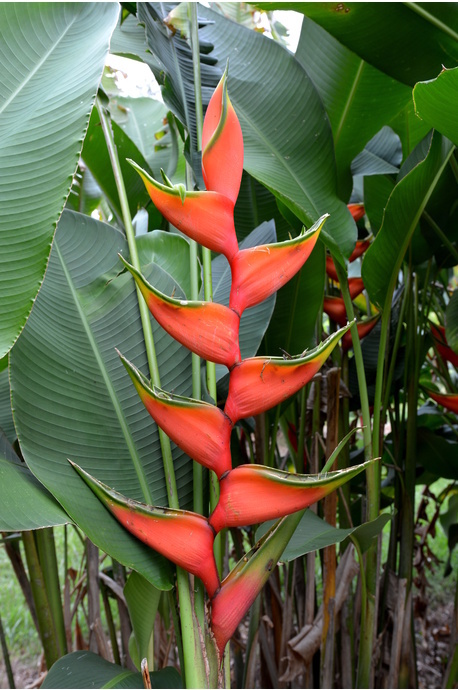 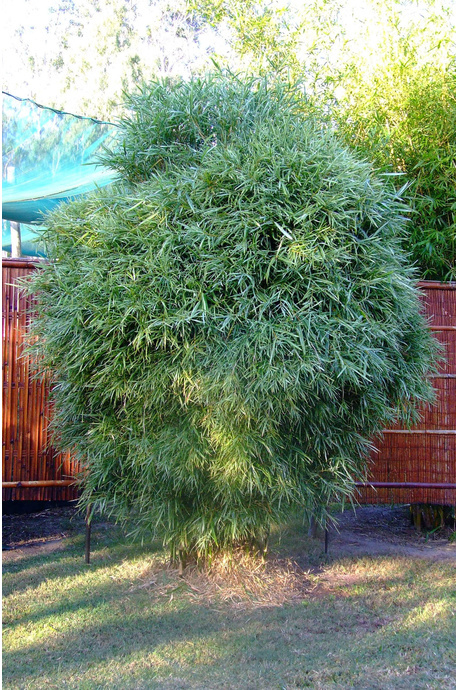 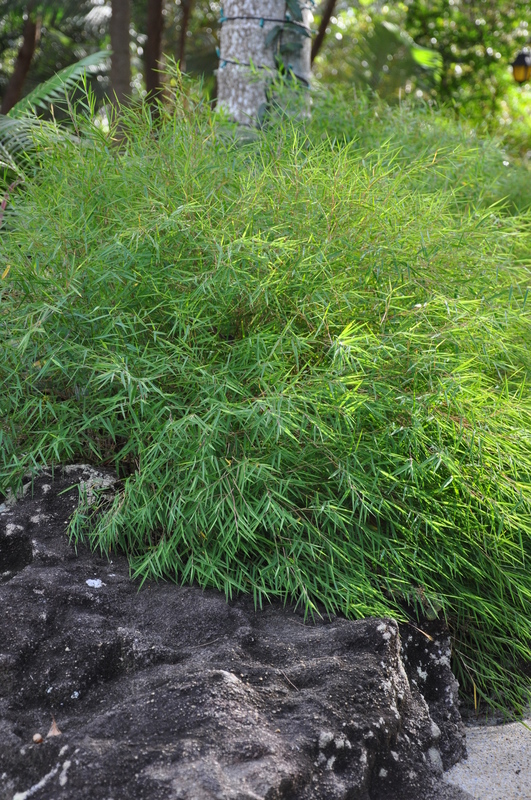 It has small and fine bright green leaves and grows in a tight clump with a bushy habit. Prefers part shade, but can be grown in full sun if soil is kept moist. 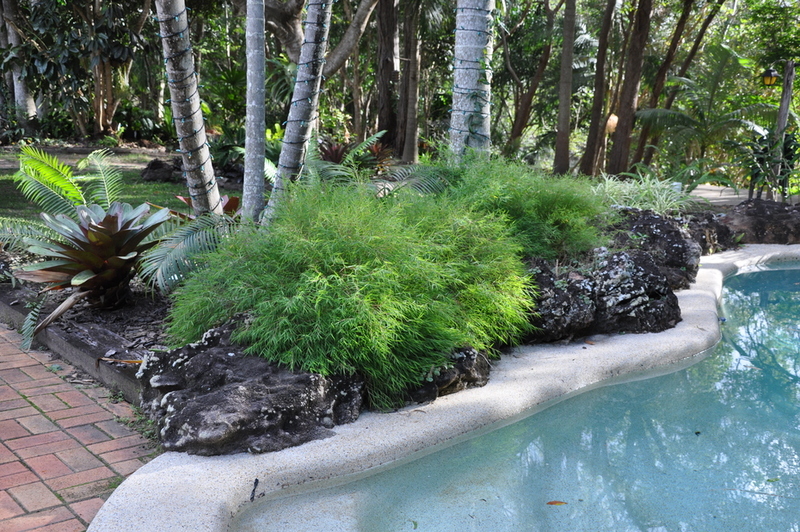 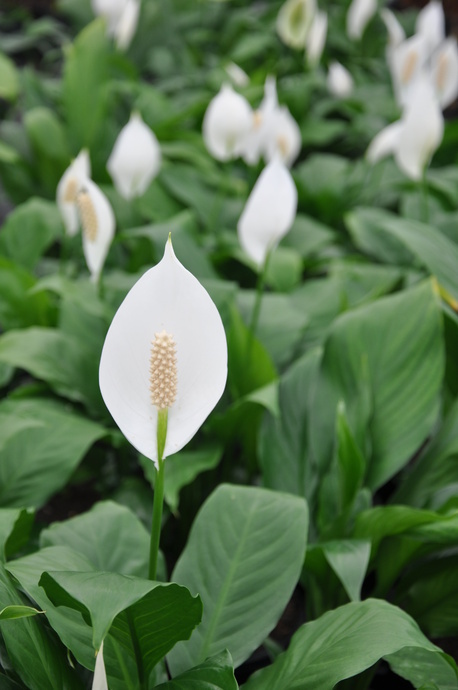 Makes a very good pot plant or edging around rock gardens and is especially good around ponds where it gets plenty of water. 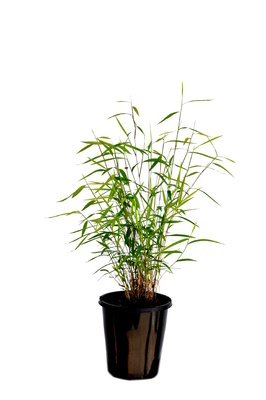 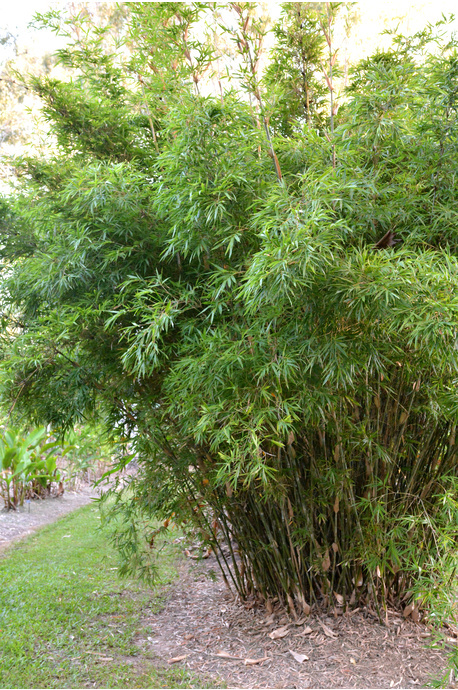 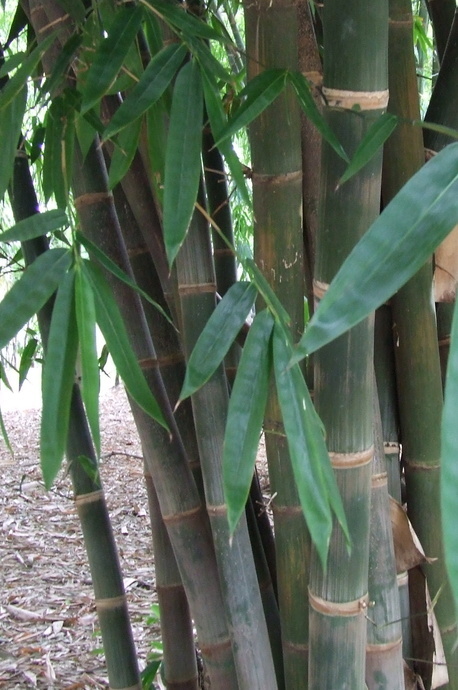 This form differs from the 'Baby Panda Grass' in that it grows a bit taller, with narrower elongated leaves.